By calling in person at the surgery. Please note there is NO WALK-IN URGENT APPOINTMENT SERVICE at 8:00 am from 1st April 2017. Online booking - Please contact reception if you want to sign up for this online service. To register for this service will need one photo ID and one proof of address. Hub: GP Extended Bookable Service. This service is available to anyone that is registered with a GP practice in Brentwood. Contact your GP practice in the usual way to request an appointment. The Receptionist will advise you of appointment availability. You will be seen by registered GPs and nurses/healthcare assistant, but it is unlikely that you will be seen by your own GP or nurse. If you would prefer to see your usual GP or practice nurse, please book an appointment with your usual practice during their normal opening hours. Surgeries run throughout the day from 09:00 to 18:30 on weekdays. The actual surgery times vary slightly from day to day and between each doctor. A certain number of appointments are held back for emergencies that arise on that day. We aim to offer an appointment with the doctor of your choice but if you need to be seen urgently, you may have to see the duty doctor. 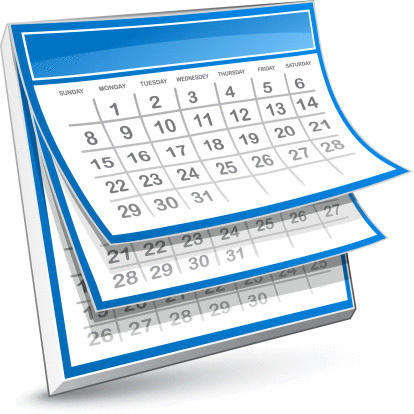 If you do not need an appointment within two working days, you also have the option to book up to 8 weeks in advance if this is more convenient or you may consult on-line. As of 1st April 2017 we do not provide a Saturday Surgery. If you need to see a doctor urgently out of our opening hours, please call OUT OF HOURS on 111. Doctors and nurses are usually busy in surgery seeing patients, so if you telephone to speak to a doctor or nurse, the receptionist will take a message for you. If the matter is urgent, the duty doctor will call you back after they have seen their current patient. In other cases, if appropriate, the doctor or nurse will call you back at the end of the surgery. Receptionists will be able to give you test results. The receptionist may ask for some brief details about your problem to add on your appointment, this is so that the Doctor you are seeing will have some information prior to your visit, time permitting they may be able to see your past medical history to assist them when you attend for your appointment. You may generally choose which doctor you see, but we do suggest that you try to see the same doctor each time, even if this means waiting a few days for non-urgent problems. This will mean that you get continuity of care, which is better for you and for us. If you are unable to keep a pre-booked appointment please ensure that you phone the Practice at least two hours in advance to cancel your appointment so that we can offer the appointments to other patients who are in need for appointments. The Practice is experiencing a rise in the number of patients who do not attend for their pre-booked appointments. In these circumstances those patients who do not contact the surgery to cancel an appointment and do not attend for their appointments, three times in any year, may be removed from the Practice list. It is with regret that this action needs to be taken but it is in the interests of all patients who require appointments. Home visits are for those who are too ill or infirm to come to the surgery. Unless it is an emergency you will probably be seen more quickly by making an appointment at the surgery. The doctor can see several patients in the surgery in the time that it takes to make one house call and usually he/she will have better equipment and facilities at the surgery to examine you and treat your problem. Please note that lack of transport cannot be accepted as a reason for a home visit, nor does the Practice provide transport services. Requests for home visits should be made before 11:00 to enable your doctor to plan the day. You will have to speak to your receptionist to book a visit. Please note that home visits are only available during core hours, and that at weekends, evenings and Bank Holidays any problems will be dealt with the Out of Hours Service.